The fully-automatic injixo Forecast. Save up to 75% of your current forecasting time in your contact centre! Share workforce management best practice with fellow contact centre experts. 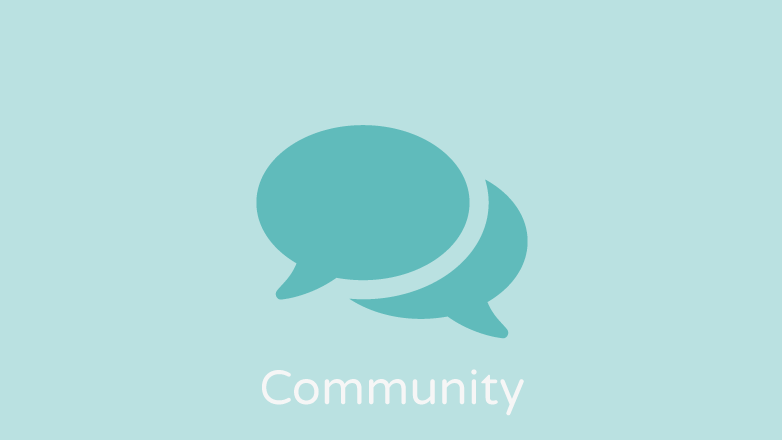 Online community for injixo users where contact centre professionals can search for solutions, post questions, share and vote for ideas. 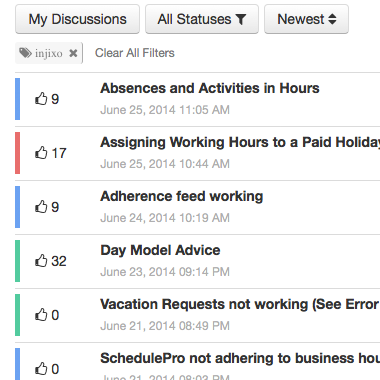 The go-to source of information about injixo and workforce management best practice. injixo Community is a free service for all injixo users that provides the opportunity to get in touch with your peers and expand your professional network. Accessible using any type of device, injixo Community is actively monitored and moderated by our Workforce Management experts. If you have business-related questions or just want to share your thoughts, hints and tips with other contact center professionals, injixo Community is available 24/7 to help you get the most from injixo - and do your job efficiently and effectively. Feel free to search the large and expanding knowledge base of previously answered questions. If you can’t find what you are looking for, just post a new question. injixo’s experts - and your fellow users worldwide - will share their knowledge and discuss their experience in order to help you. Got a good idea? Share it with us on the injixo Community. Discuss your ideas with other injixo users and interact with our product developers by voting for ideas that you like and getting in touch with our development teams directly. 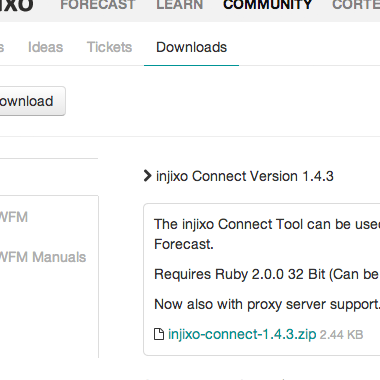 The Downloads section of the injixo Community is a useful source of Workforce Management materials, all stored in one central location. Downloads also provides a host of articles and white papers about best practice in workforce management with injixo and in general. Fully automated, self-learning forecasting. Always up to date. Optimised scheduling. The heart of successful workforce management. Powerful intraday management. Hit your service goals every time. 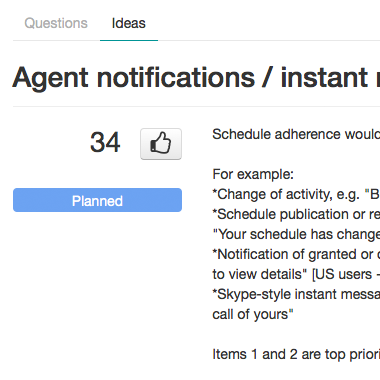 Agent self-service portal. Your employees will love it. Meet fellow contact centre pros. Share solutions and best practices. Our workforce management (WFM) experts are happy to assist you with the successful injixo configuration. Interested? Want to see it in action?